When it comes to children's books, I have a real weakness. Why shouldn't I? Book are fantastic and I have three little readers and/or book loving minds to mold. I am building a lifelong library so book shopping is jus.ti.fied. 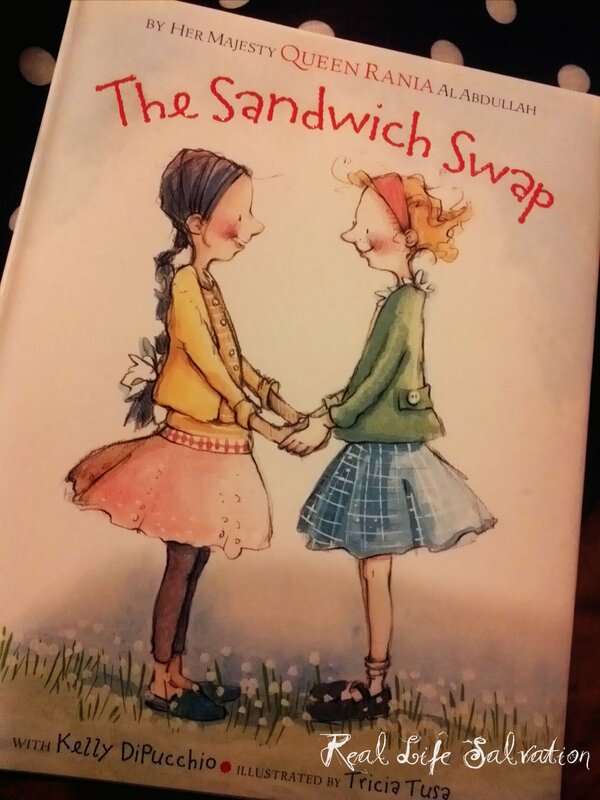 Our latest children's choice read is The Sandwich Swap by Her Majesty Queen Rania Al Abdullah with Kelly Di Pucchio. The story of two girls, Lily & Salma, best friends in fact, that share everything except a common culture. 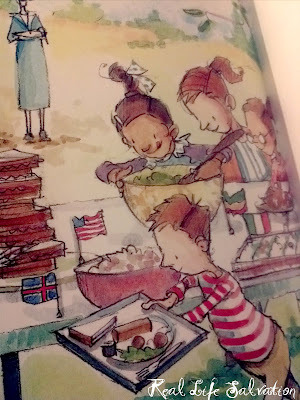 Through their delicious differences we learn the concepts of acceptance, friendship and understanding. The story is accompanied by the absolutely beautiful illustrations of Tricia Tusa which bring the story alive in a fluid like manner. The water colorful depictions of real childhood scenes is captured with the turn of each page. A bit of our favorite page from the book. We are on holiday and this book was the perfect fit to our at home cultural studies for the next two weeks. Yes, we are on vacation but we still find ways to integrate learning into our lives. Diversity seems to be on the forefront these days. With the big US elections, crises in Europe's economy, and natural disasters as a part of life all over the world, now is the perfect time to understand different cultures and find ways to accept them. I have traveled across the globe and can tell you one thing that remains true no matter the color, religion, finances & age: Humans are amazingly powerful beings who thrive in diversity. We learn from each other and our varying life experiences. Books like this will have us putting away judgments and make our children aware of some of the cultural differences in life. I consider my family lucky to be so ethnically diverse (shortlist: Spanish, Chinese, African & Anglo) but it also makes me aware of the opposition to many cultures and races around the world. This is always very shocking to me considering most living people these days are a mixture of a culture or two. Are they not aware or just living with blinders on? Well, whatever the case this book will help all of us open our eyes a little bit more and start living a real good life. Education is a life line. Image from the back cover of the book. It is because of smart women like this that I will constantly be educating my children in our daily lives & continue to purchase books that elevate both our minds. I highly suggest purchasing this one for your own family (Shop Smart & buy as gifts especially with the holidays coming up!) How gorgeous is the Queen? 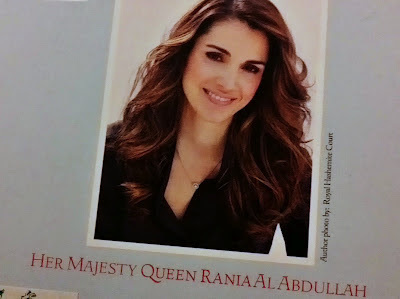 After we finished the story and I was explaining that it was written by a queen, my five year old asked while looking at her photograph, "How is she a queen if she is not even old?". Classic. I explained to him that just like in the book, queens are diverse, too.